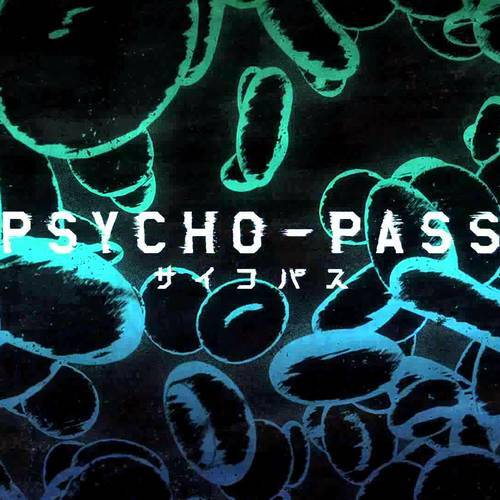 Psycho-Pass is one of many projects on a channel centered around voice acting. The series was written by Gen Urobuchi who addresses various social issues like human trafficking, Dictatorship, the justice system, etc. in Japan (the concepts are universal). The story is about Akane Tsunemori, a new inspector in futuristic Japan who solves crimes. She meets various other inspectors like Nobuchika Ginoza who train her to become the best she can be. Enforcers like Shinya Kogami assist the inspectors at a lower rank. 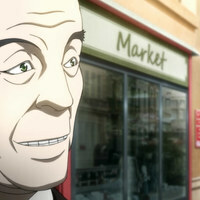 They are able to do their jobs due to a concept called a Psycho-Pass (the psychological stability of a person). Enforcers previously committed a crime or experienced trauma that made their Psycho-Pass unstable. They had the choice of rehabilitation and the police force or jail. The animation style of the series is highly regarded around the world with it's backgrounds and futuristic- look. Side Note - This series is rated M for mature due to violence and adult-themes. Rikako is essentially the main antagonist for the next few episodes. Her father used to be a famous painter, but was disparaged for his cruel depictions of the human body. He became comatose and is still in the hospital. Rikako dived into a state of depression and decided to turn her paintings into murders alongside Shogo Makishima, the main antagonist of the series. She seems to be friendly, calm, etc. on the surface, but her true desire is despair. I had great respect for my father. He understood his duty as an artist and used his creations to enlighten people. Despair. Dismemberment. These are my paint. An android created for the sole purpose of hunting. This drives him to team up with Shogo Makishima, the main antagonist. He's a clever android that believes he is better than humans. His voice should reflect this. It's said that God created us in his own image. Isn't it about time for us humans to become a little more like God? You'd be wise to run. Hahaha! Yes! This is why I was created! Woman that embodies the Sibyl System. She is seen as a poised workaholic that is distant from the world. In truth, she's an android that was created as a face for the system. The system basically runs Tokyo and dictates everyone's jobs and aptitude. It also dictates whether or not someone is fit to be in society based on their psychological stability. 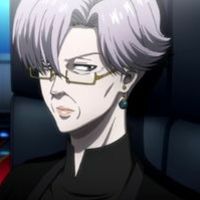 She should have a voice that is calm and ominous. I certainly hope so..There’s still a small chance she’ll end up in an unfortunate state similar to that of your partner, who started the same year as you. Teacher that instructs students to think about a quote from Shakespeare at a private school for girls. The first performance of Twelfth Night took place in 1601. In the passage Kagami just read you can get a glimpse of the astonishing universality of Shakespeare. A student that recites a Shakespearean poem and in a later episode helps Rikako. I'm open to any interpretation for her voice. Yoshika deals with some hard times at home. At school, she acts shy and innocent while Rikako sees this as an opportunity. Her voice should reflect her innocence. *nervous breath...Yes, we’re studying Twelfth Night by Shakespeare. Young student that basically serves as the voice of reason in this entire story arc. She understands that somethings strange is going on at the school and blames Rikako. In later episodes, she faces Rikako again due to her cleverness. It seems that Satsuki Kuzuhara is still missing. I’ve heard that the teachers were ordered to keep silent about it to prevent worrying the students. Friends with Kawarasaki. She becomes disturbed by the recent events at school and confides in her friend for more information. In a later episode, she decides to speak with Rikako as well. Her voice should be slightly timid. Why? That worries us even more. She’s pretty, and very smart too..It’s pretty obvious. At a certain point in the episode, we come to a school. In the school, there is a cafeteria where multiple girls are eating lunch. I'm in need of an actress who has a decent range in terms of pitch and/or accent and can switch pitches while saying a line. I'd like this done for the first line so that I can loop it to make it sound like many girls. The second line can just be done in one pitch/voice. Students - Teacher Oryo! That’s Miss Rikako! Nurse that cares for Rikako's father. Your father remains in the same state, I'm afraid. Mr. Oryo, your daughter is here to see you. Isn't that nice?